Hat-tastic Spa and Play Day! The Hat-tastic dolls (and their hair) needed some love. While they were drying, some of the other dolls jumped off of the shelf to try on the new outfits! I’ve had a few requests for photos through social media, so I will be posting them here as well. 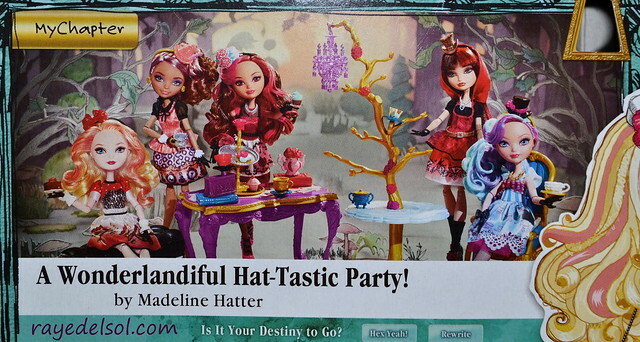 The photo on the back of the boxes shows all five Hat-tastic dolls and the playset. 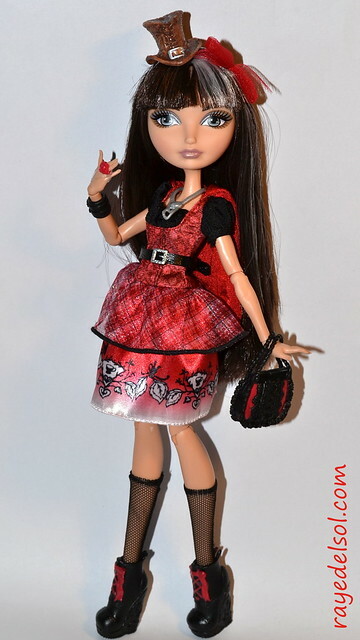 The Madeline Hatter doll will be coming with the playset. 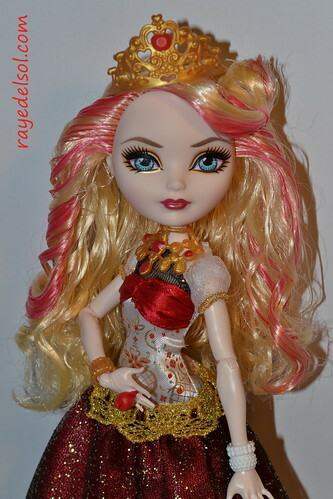 It is a common belief that the Cedar Wood doll will be released at a later date, when more time has passed between its release and the release of her signature doll. I was asked to photograph Briar and Cerise next to one another. 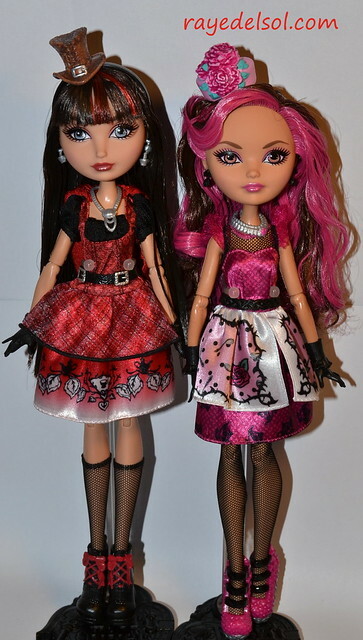 The HT Cerise doll is taller than the Briar doll, keeping with the tradition of the signature Cerise dolls. It is hard to photograph, but Briar is a fraction of a shade darker than Cerise. And now on to the fun! Next was GF Briar in the Hat-tastic outfit. I have a fear of ripping those fishnet style stockings/tights/socks. (I’ve already ripped a pair of Blondie’s stockings!) So I left her without the tights. But that didn’t look right, so Briar grabbed the socks that Cerise has left lying around. The last set of photos I have for you are all Apple White. I warn you now. If you don’t like Apple White, don’t proceed. If you have a faint heart, don’t proceed. 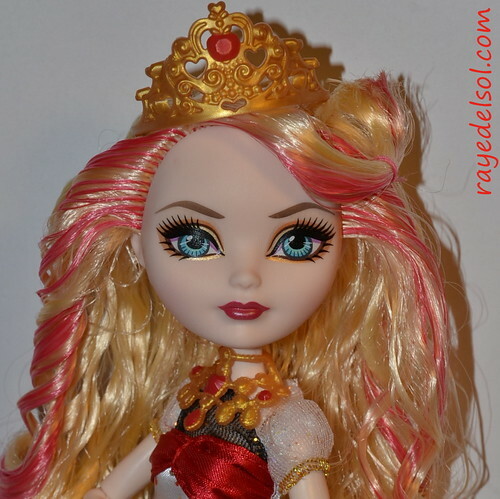 These dolls are just pure perfection and ideal beauty! Here is GR Apple in the Hat-tastic stock. 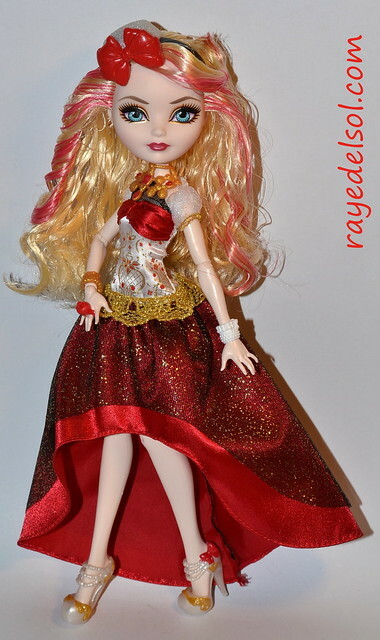 Here is the Legacy Day doll in the Hat-tastic dress. Some people were saying through social media that the white shoes that HT Apple comes with aren’t their favorite. I decided to leave LD Apple’s shoes on her to see how they look. Let’s try a different crown. I had so much fun taking these photos! Which is your favorite?